We’ve got to be on the home stretch for winter weather here in the Twin Cities…don’t we? The winter can be a tough time – well great for XC skiiers and people who enjoy ice fishing – but tough on our homes. With the possibility of another winter storm later this week, ensuring our roof in the best possible condition is important. We’ve got some tips on how to avoid damage from ice dams and snow buildup for next season, but as for now the #1 issue is fixing the roofing problems caused by this past winter. 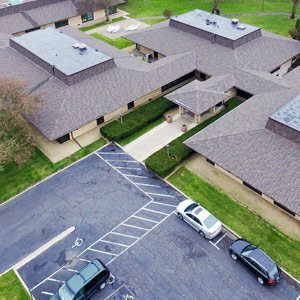 It is hard to know exactly what you’re dealing with in terms of the damage that Mother Nature caused to your roof – unless you get it inspected by a Minneapolis roofing company like our team here at Snap Construction. Problems could be lying on the surface such as missing shingles, or there could be more structural and internal problems caused from leaks. 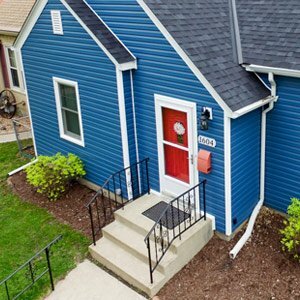 Bitter winds wreak havoc on asphalt roofing, especially in the winter when the shingles get brittle and can break off easier. You should always have a contractor order overage when they roof your home so that you have replacements on hand. Otherwise as long as the color isn’t discontinued, it should be available from the manufacturer to patch in missing spots. One thing that a roof inspection will do is identify areas of possible leak threats. Sometimes a couple tubes of caulk is all that you’ll need to seal up those gaps and make sure your home is ready for April Showers. The combination of snow, ice, wind, and cold the last 5-6 months can definitely take its toll on a number of different areas on your roof. Flashing around gutters and skylights, for example, can become unfastened and needs to be fixed. The ice resting on your gutters can also cause them to pull away from the home and they will need to be reattached to prevent leaking. The same goes with any soffit or fascia that has become damaged or wood that is rotted anywhere on your roof line. In some instances (although rare) the weight of the ice and snow can cause the plywood cladding of your roof to sag – especially if it has had water exposure. These dips in the roof will catch and pool water all spring and summer long – bringing a plethora of issues such as leaks, mold, insect infestation, etc. Rotted plywood should be replaced or at the very least the dips in the roof should be built up from the attic. Prevention is the name of the game when next winter rolls around – but right now we have to get your roof back in shape for the spring. Give Snap Construction a call to schedule that Minneapolis roofing inspection ASAP! Contact us at 612-333-SNAP (7627) or email [email protected] to schedule your free inspection.